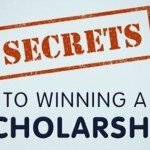 Winning scholarships is fun, and it’s financial and academically rewarding. Different companies sponsor scholarships for publicity. Businesses don’t really care much about the topic of the paper, but they care more about the quality of the writing. Scholarships can be used to pay for college books and other expenses, and if you play your cards right you can even cash it out. Scholarships go unrewarded every year estimating to be in the tens of millions of dollars. Wouldn’t it be great to get a piece of all that money? Don’t look any further because we have the answer for you. Here in Expert Editors few of our writers paid for their entire college with scholarships. They had a free ride in their education road from paid dorm rooms to buying their own car. In America, if you were awarded more money for your education than the cost of tuition, then your college has to refund the excess money to you. What you do with that extra money is totally up to you. However, the downside of getting that extra cash is that you will be taxed for it. Unfortunately, Uncle Sam’s IRS will need its share; talk to your tax accounting regarding this matter. One of our writers won about $450,000 in scholarships for paying for all four years of college. His tuition for college was around $90,000 total. He took the extra money and bought himself a nice car and he used the rest of the money to pay for his Ph.D. program. Wouldn’t it be great if that person were you? Well, now you can with Expert Editors. Expert Editors have helped hundreds of students write quality papers. Our scholarship proofreading services are unmatched. We have experienced writers who really won scholarships so they know what helps and what doesn’t help. One of the main downfalls behind writing scholarship essays is it doesn’t capture the reader on the first sentence. For an engaging essay the reader’s attention has to be caught within the first 10 seconds, otherwise, you’ll lose the reader’s attention. So, what can Expert Editors do for you? Scholarship essay proofreading is not easy to come by. Not everyone has the experience or the expertise to proofread scholarship essays. We at Expert Editors have the Ph.D. level writers available 24/7 for editing and proofreading. We provide multiple revisions until you are satisfied with the result. What differentiates us from our competitors is that there is no middleman to deal with. We provide direct access to the proofreader who edited your paper. So don’t wait, sign up with us and start winning scholarships.